Dan Jentel was a dealership technician for seven years. But after a strike of unionized techs in Chicago in 2017, he took a job in another industry and now keeps $50,000 worth of auto tools in his garage. New-vehicle dealers have heard numerous alarms in recent years that they face a shortage of experienced service technicians as baby boomers retire and fewer would-be techs enroll in training programs. The National Automobile Dealers Association calls technician retention the "hottest topic" of the dealership performance improvement programs it sponsors. The shortage could become even more acute. Technicians dissatisfied with their compensation or work environment are finding greener pastures in other fields, often for higher pay. Moreover, as auto technicians acquire skills to work on advanced driver-assist systems, electric vehicles and autonomous vehicles, they become even more valuable to other industries that also face a shortage of highly trained technicians. They are potential candidates for poaching by industries such as heavy equipment, heavy-duty diesel, railroads and aerospace. A survey of 35,000 dealership technicians by Carlisle & Co. found that one-third plan to leave their jobs within three years. The survey did not break out how many plan to retire, move to other auto-tech jobs or change industries. But Harry Hollenberg, a Carlisle partner, says dealerships will need to hire 20,000 to 25,000 technicians annually over the next few years to cope with the shortage, and defection from auto retail is a significant factor. "Therein lies the challenge for our industry," Tony Molla, vice president of the Automotive Service Association, told Fixed Ops Journal. "An individual trained at a high level on the electronic side becomes very attractive to other segments of our economy, such as aerospace and fleet operations. We are competing for the same level of talent with other, more complex industries." 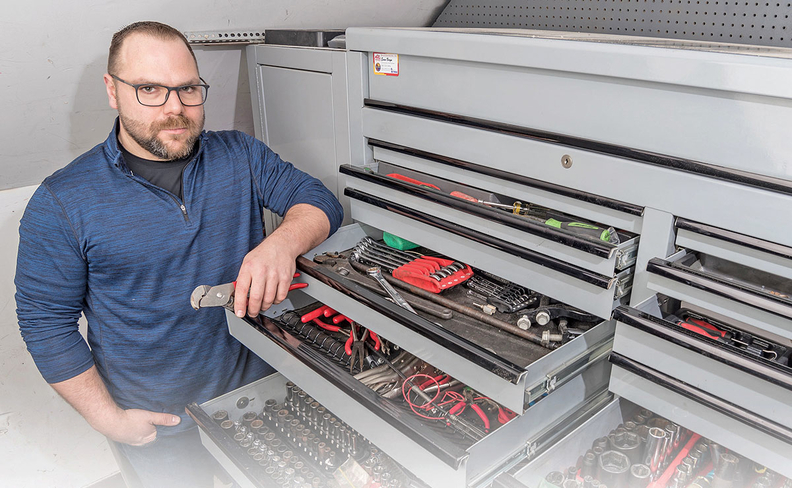 Dan Jentel worked as a technician for seven years at Marquardt of Barrington, a Buick-GMC dealership in suburban Chicago, rising to the journeyman level. 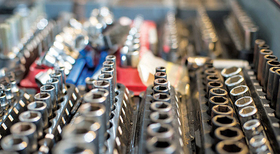 Now, though, $50,000 worth of automotive tools and testing equipment sit idle in his garage. Instead, he maintains industrial machinery at a company that makes office supplies. The factors that drove Jentel from the dealership echo frequent complaints from technicians: weekly pay that varied based on the workload and whether he could beat the clock under the flat-rate system, shrinking labor times for warranty repairs that reduced his pay and uneven distribution of work assignments that penalized more experienced, skilled technicians such as him. Jentel says he would fight to finish tough jobs on tight schedules, while less experienced techicians were turning more hours on easier jobs. "I did a lot of engines, and [General Motors] would shorten the labor times," Jentel says. "You would ask for more time because you want to do the job right, and they would tell you, 'There's nothing left for it. This is all GM will pay at this point.' It didn't matter if every bolt on the cradle broke, that's what you get." Daniel Marquardt, an owner of Jentel's former dealership, agrees that shorter labor times for warranty work are "making it more and more difficult to acquire and retain skilled technicians." "For the manufacturers to [use] factory labor-time studies to justify shorting technicians versus actual times is just wrong, and I think it's morally bankrupt," Marquardt says. Robert Atwood, a management instructor at NADA Dealer Academy, says that how service techs are treated and the amount of respect they receive is the No. 1 reason they stick with a dealership for the long term. Giving only tough jobs to the top mechanics breeds unhappiness, Atwood adds. "You have an A technician who's been with you for 25 years, and unfortunately he ends up with all the s--- work because we know that person can fix it," he says. "They don't feel as though they are treated fairly. You have to go to this A tech and say, 'Look, I'll throw you some gravy later on, but help me out and get this done.' If we can do that on a regular basis, I think it goes a long way." Community colleges and technical schools training auto techs find that some potential students are turned off by the low starting pay — generally minimum wage to about $13 per hour for lube techs. Ira Siegel, professor of automotive technology at Moraine Valley Community College in the Chicago suburb of Palos Hills, Ill., notes that dealership shops don't need as many master techs as they used to. Because more work now consists of routine maintenance and basic repairs that lower-level technicians can perform, he says, there are fewer opportunities to move up. "Some of these students get impatient, and rightfully so, and they move on to another field," Siegel says. "I can tell you about six or seven guys who are working for various railroads, and these are guys who left a good dealership. It's just that they weren't getting moved up as fast as they want to." One of Siegel's former students, Alan Saiz, worked at a Chrysler-Dodge-Jeep-Ram dealership in suburban Chicago for two years under the Mopar Career Automotive Program while he earned an associate degree. His full-time job as a dealership mechanic paid $16 an hour. He stayed at the dealership for only two months before he left to work for BNSF Railway as a diesel locomotive mechanic — for $27 an hour. His former employer "was a good dealership to work at, and the environment was good," Saiz says. But he quickly discovered he wanted more than it offered. "It didn't seem like there were a lot of areas where I could progress or move up," he says. "You were going to be a mechanic, and that's about as far as it goes." Two years after he joined BNSF, he was a journeyman making $32 per hour. Now, at age 27, he works for GE Transportation in an office, helping Amtrak repair shops troubleshoot and fix locomotives by telephone and computer, without getting his hands dirty. Saiz credits the education and training he received in automotive tech for paving the way to a higher-paying job. "It gives you skills and an education that you will use forever," he says of his dealership experience. "But I could just tell that the dealership life was not what I wanted to do for the rest of my life."